Cherry Blossom Festival, Photographing a Cotton Candy World! 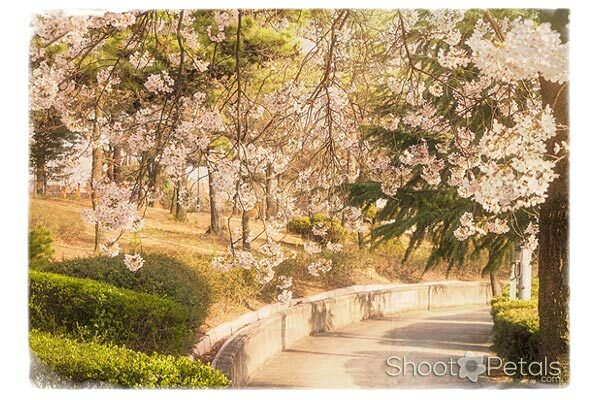 It's cherry blossom festival -- you and your camera are invited! Fragile petals, all shades of pink, floating like confetti in the wind. 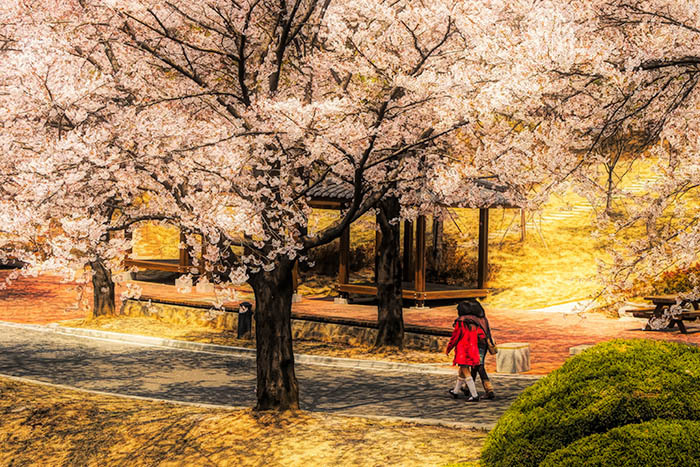 Children walking under blossoming cherry trees at Daegu University. Edited in Topaz Impression. First thing you do, before you leave the house to catch a spring festival, check the website. All of the large festivals have one. That's how you find out where the best trees are blooming at the minute. You might also find some special activities the festival is hosting as well. If you're traveling to another country, you have to be flexible with your time. For all sorts of reasons... the trees can bloom days to a week earlier or later than you expected. So, be warned -- you have to be on the ball if you want to catch these candy cotton blossoms at their best. They'll peak late March or early April in milder climates. You have only a short window of opportunity to catch them on camera. Once the buds open, they only last a week... if that! One good rainy or windy day and the cherry blossoms are done. Don't leave your photography for the next day. You may just wake up to find the world carpeted in pink and the trees bare naked! Visit one of these festivals and make your spring the most magical photography experience ever! Vancouver Cherry Blossom Festival. Tourist or local, come join Hanami. Yeouido in Seoul, Spring Flowers Festival traditional Korean dancers. Cherry blossoms make a canopy for the walk at the stadium, Daegu University. Unofficially, the blooms are the national flower of Japan. They have no official flower - but they're as much a symbol of Japan as... well... Geishas! Japanese view them as a model for human mortality - exquisite in their prime but, oh, so fleeting! Delicate cherry blossoms (Sakura) are pervasive in Japanese art, music, poetry, ceramics... all aspects of life. It's not difficult to understand why they planted cherry trees in countries they colonized. On the Japanese 12-month calendar, the “Sakura” is the flower of March. 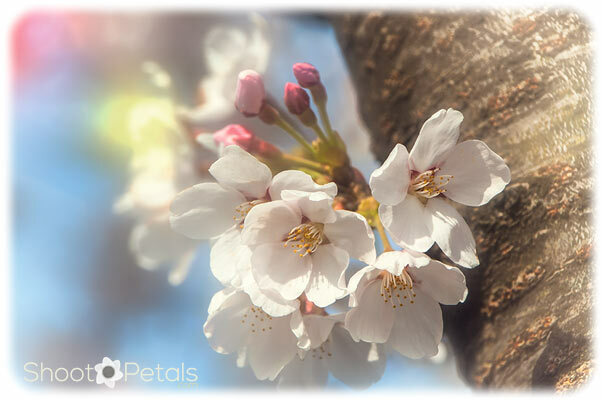 In the Chinese flower calendar, the cherry blossom, “Ying Hua”, is April's flower. The Chinese believe Ying Hua is emblematic of feminine beauty, peace and a good education. I'm pretty sure we'd all agree that this pink tidal wave represents spring no matter where you are in the world. Cherry blossoms Daegu University South Korea. Dainty white petals, edges of the image are brightened, light leak added top corner and a white vignette frame. It's not only Japan that celebrates this tsunami of pink petals... China, India, Tibet, the Western Philippines, and Korea all adore their cherry blossom festivals. In South Korea, where I lived on campus at Daegu University, every spring is a pink spectacle. You can get a glimpse of what I experienced each spring in a cherry blossom picture show. Seoul has a wonderful spring flower festival in an area called Yeouido (say it "Yaw oo a doe"). Their spring flowers festival is here. 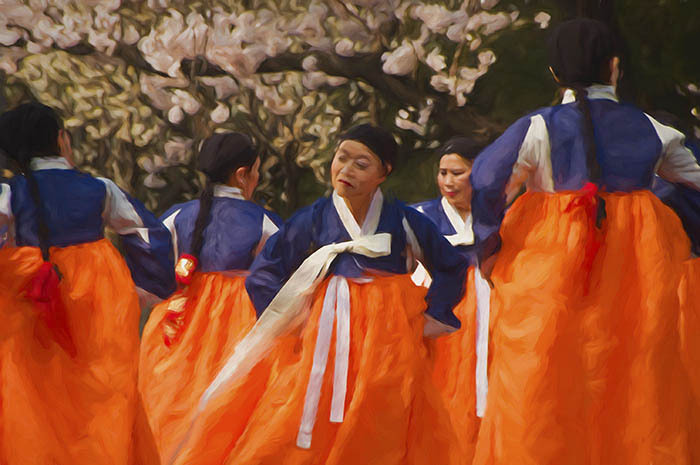 You'll get a great look at the traditional dancers in their brilliantly coloured silk hanbok. Cherry blossom branch in front of cherry tree. The branch is in focus, everything behind is blurred. Light edges applied, finally a white vignette frame. But Asia doesn't have the monopoly on cherry blossoms any more. Mostly thanks to Japan's generosity. 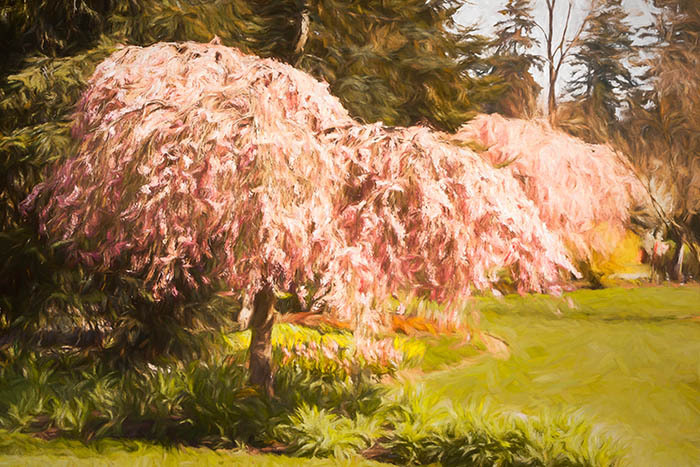 Starting back in the early 1900's she gifted thousands of cherry trees on many North American organizations and cities. And now we're just as excited as our Asian friends when the “sakura zensen” starts. In Canada, we love our own pink and white blooms every spring. Two of our major viewing cities are Vancouver and Toronto. Vancouver's Hanami Festival arrives much earlier than the ones in southern Ontario. Ontario still under snow when the spring bulbs and cherry trees are blooming in the Lower Mainland. The United States puts on some spectacular spring festivals, too. If you're in New York, Seattle, Philadelphia, Georgia or L.A. when the buds pop open, have your camera with you. 5 Cherry Blossom Festivals Around the World. The Altes Land Orchard region on the Elbe River near Hamburg in Germany has the most fruit trees in Europe. Not just cherries but all kinds of fruit. 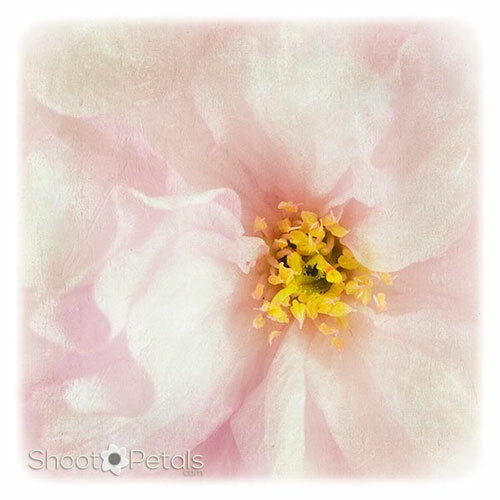 Dainty cherry blossom macro image using Nikon 105 mm lens. Two texture layers applied, same texture but rotated 180 degrees on 2nd layer. Get there in the middle of April for the cherry blossoms and after they die off, stick around for the apple blossoms. The United Kingdom is another option for spring festivals. If you get to the Cotswold Hills in Gloucestershire, visit the Batsford Arboretum. It was created in the early 17th century and there's a huge collection of Japanese cherry trees. 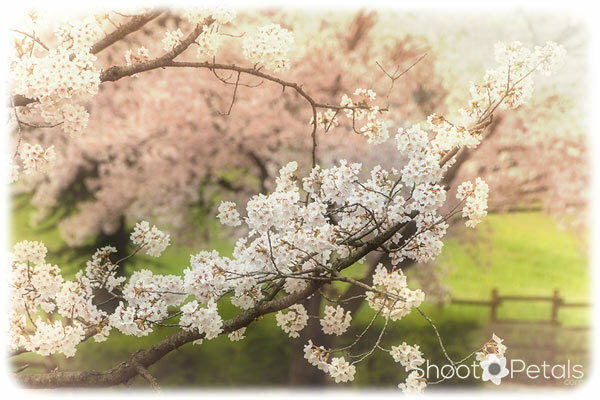 So, it doesn't matter where in the world you'd like to go, you'll find spring cherry blossoms to photograph.